savemat(file_name, mdict[, appendmat, ...]) Save a dictionary of names and arrays into a MATLAB-style .mat file. This is the package from which loadmat and savemat are imported. Within sio.matlab, you will find the mio module - containing the machinery that loadmat and savemat use. From time to time you may find yourself re-using this machinery. 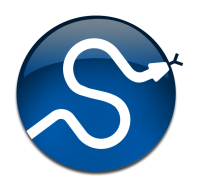 You may have a .mat file that you want to read into Scipy. Or, you want to pass some variables from Scipy / Numpy into MATLAB. MATLAB structs are a little bit like Python dicts, except the field names must be strings. Any MATLAB object can be a value of a field. As for all objects in MATLAB, structs are in fact arrays of structs, where a single struct is an array of shape (1, 1). Sometimes, it’s more convenient to load the MATLAB structs as python objects rather than numpy structured arrarys - it can make the access syntax in python a bit more similar to that in MATLAB. In order to do this, use the struct_as_record=False parameter to loadmat. Cell arrays in MATLAB are rather like python lists, in the sense that the elements in the arrays can contain any type of MATLAB object. In fact they are most similar to numpy object arrays, and that is how we load them into numpy. mmread(source) Reads the contents of a Matrix Market file ‘filename’ into a matrix. mmwrite(target, a[, comment, field, precision]) Writes the sparse or dense matrix A to a Matrix Market formatted file. save_as_module([file_name, data]) Save the dictionary “data” into a module and shelf named save. Module to read ARFF files, which are the standard data format for WEKA. ARFF is a text file format which support numerical, string and data values. The format can also represent missing data and sparse data. See the WEKA website for more details about arff format and available datasets. loadarff(filename) Read an arff file. netcdf_file(filename[, mode, mmap, version]) A file object for NetCDF data.